If you are looking for a movie with lots of laughs check out Open Season Scared Silly! If you love Open Season you will love Scared Silly!! During a round of campfire tales Boog (who has never been the bravest bear) gets even more spooked by a monster story that Elliot tells. Of course, Elliot always has a plan and decides to help Boog by “scaring the fear” out of him! Thus begins a journey of friendship and overcoming fear with tons of laughs along the way! I loved the original Open Season, I remember watching it years ago and loved it to pieces. I laughed so much and I have to say I love this movie just as much! It doesn’t let you down, has a great story line and is family friendly! I know Clay is a little young still to enjoy the movie fully, but I know it will be one we watch many times over the years! Elliot is my favorite in this movie for sure, hands down! Plus one lucky reader will win this prize pack that is featured above, which is totally awesome! It would make any kid so excited to receive all these fun items! Make sure to enter this awesome giveaway! 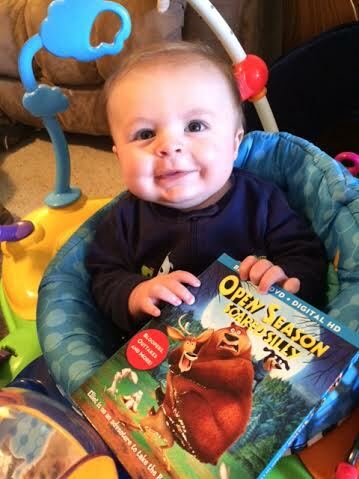 Pre-Order a copy of Open Season: Scared Silly today! It will be available March 8, 2016! 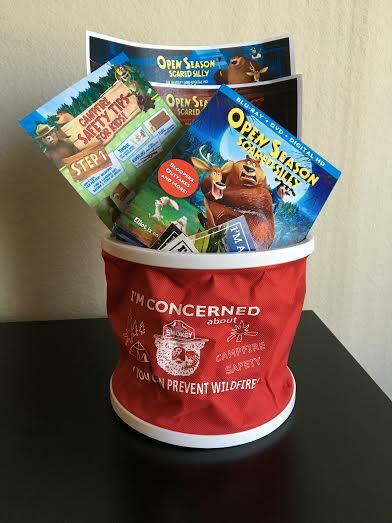 1 Lucky Reader will Win the Open Season: Scared Silly Prize Pack pictured above! This giveaway is open to US residents only, and will end on 3/12 at 11:59 p.m. Est. I will choose the winner using Rafflecopter, which draws a winner at random. I will contact you via email, and you will have 48 hours to respond with your contact information or I will then choose a new winner. ChicnSavvy Review’s is not responsible for prize fulfillment if the sponsor fails to ship prize. Allow 6-8 weeks for prize delivery. My favorite outdoor activity is hiking because I’m just fascinated by the natural world. My most favorite activity is musky fishing. My favorite activity is camping! It is nice to get away from the business of the world and enjoy nature all day!